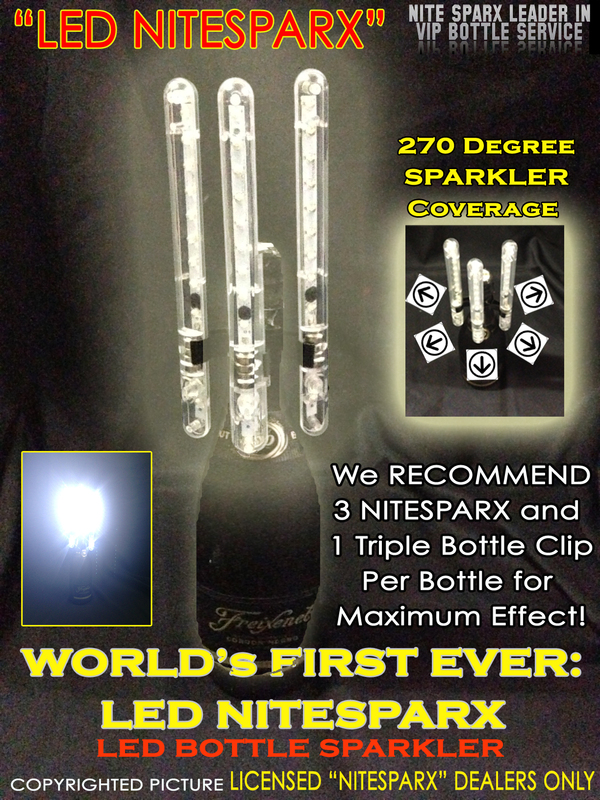 ORDER the NEW "LED NITE SPARX PLUS"
RE-USABLE-Easy to use and re-use, everynight, and save! 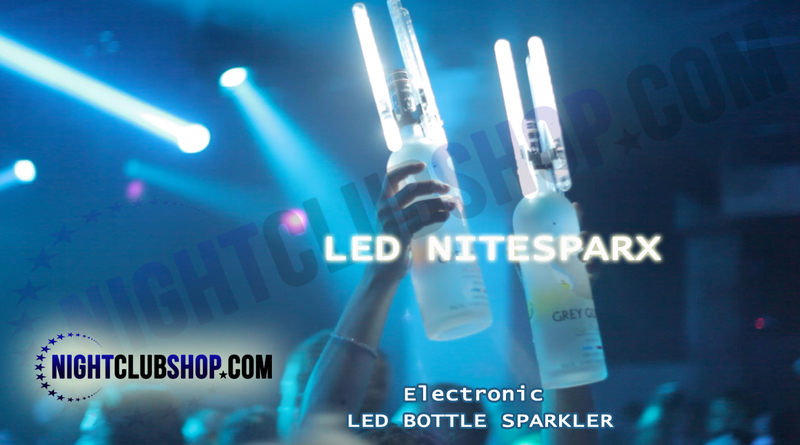 Our LED NITE SPARX is the newest in Bottle Service Technology. 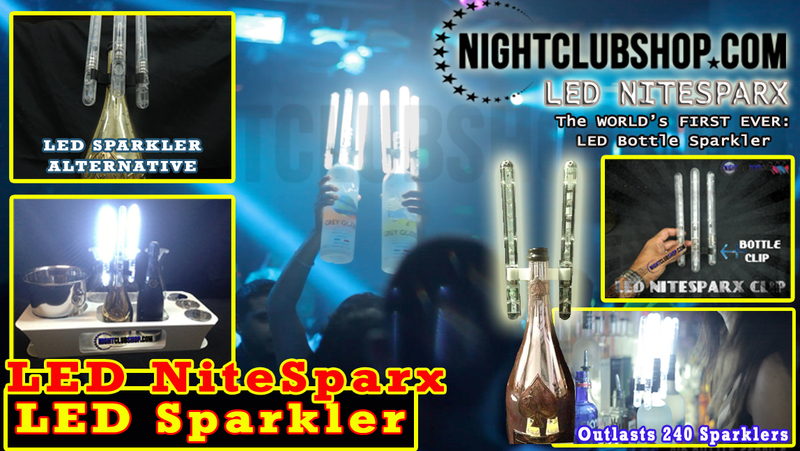 THE LED NITE SPARX or the LED BOTTLE SPARKLER will change the VIP BOTTLE SERVICE EXPERIENCE from NOW ON! 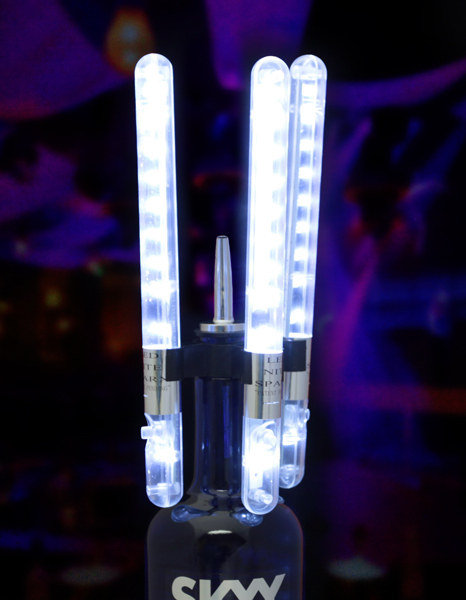 Check out the LED NITESPARX electronic Sparkler Blog Post! 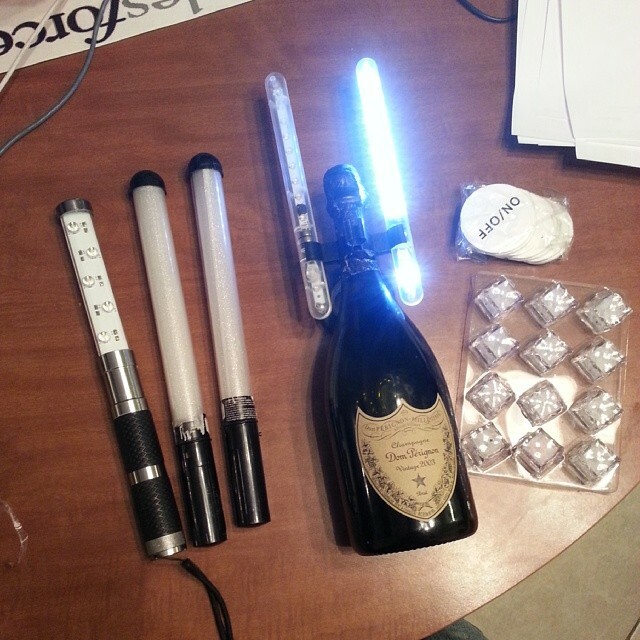 They do not come as three units (sticks) Each unit is sold separately. You would need to order three units and a triple clip for maximum Flash!